"Miss Amy is a spirited and lively singer/songwriter who delights in performing for children. This CD is a collection of fun songs which includes Harry Belefonte's "Turn The World Around". Miss Amy is also a Music Educator and Fitness Instructor, and she puts her talents to work at her kids shows that she performs regularly through-out the Central New Jersey and Philadelphia area." 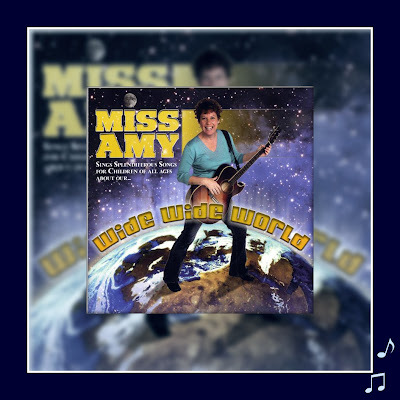 I just received Miss Amy's Wide Wide World CD for review and an extra copy for a giveaway courtesy of Miss Amy via aMomEntrepreneur.com. As soon as I put the CD in, my two girls perked up and started to dance. The two year old especially LOVES it! I wanted to hear a snippit of each song so as I skipped to the next one, she would become upset with me as she didn't want to stop listening. After listening to the entire CD once, I finally had to move it into another room because she wanted to hear it over and over. Miss Amy's voice reminded me of Anne Murray at times. She really has a smooth, beautiful voice and I would love to hear her sing some adult genre. I particularly liked Old McDonald Had a Vowel Farm and the Penguin Dance as did the girls. All the songs have a good upbeat tempo which is extremely appealing to children. It's a CD to keep the kids entertained on a long trip but not one right before bed as it really gets them fired up! All the words to the song are available missamykids.com and Miss Amy has three other CDs to choose from. 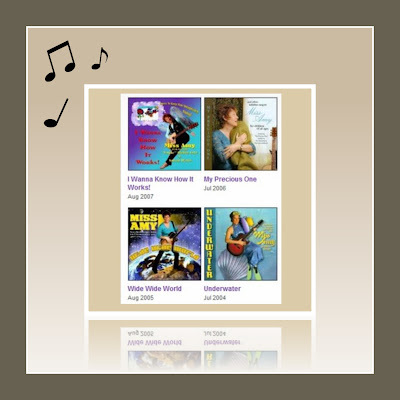 Click here for Miss Amy's Other CDs and to listen to sample songs. CDbaby.com has four reviews that are all excellent! Go to missamykids.com and leave a comment here on what you learned about Miss Amy and follow my blog. Subscribe and leave two comments that you subcribed for two entries. Follow me on Twitterand and leave two comments that you followed for two entries. 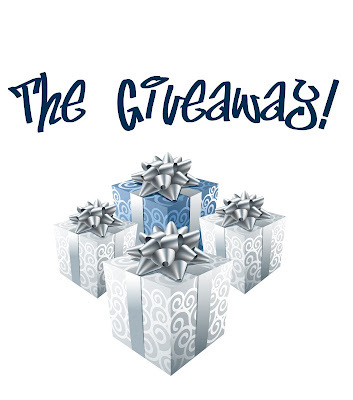 Giveaway ends October 15, 2009 at 10:00 PM EST. She grew up in Kansas! I learned that she has a song called "Dancing on a Rainbow"! We are big fans of kids music around here! Fitness Rock & Roll TM, and the perpetrator of the Penguin Dance...BUSY lady! Fitness Rock & Roll TM, and the perpetrator of the Penguin Dance! With her music, Miss Amy incorporates interactive fitness elements into each performance, appealing to the kinesthetic nature of young children, drawing the audience into participating as no other children’s musician on the landscape today can do. I learned that she is a President's Challenge Program Advocate. I follow your blog. I learned that Miss Amy grew up in Kansas and earned her BBA in Strategic Management from the University of North Texas.